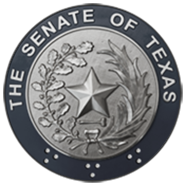 (AUSTIN) — At its final interim hearing, the Senate Select Committee on Violence in Schools & School Security heard testimony Tuesday about extreme risk protective orders, also known as "Red Flag" orders, which allow authorities to temporarily prohibit individuals from possessing firearms under certain significant circumstances. One of many methods considered to prevent mass shootings, Red Flag orders permit a judge to order a person believed to be an immediate risk to him or herself or others to surrender their firearms for a limited period and preclude them from purchasing more. Current Texas law allows for such restrictions under some circumstances, mostly involving domestic violence or some mental health danger. Red Flag laws seek to fill the gaps and cover people who may pose a public danger but don't fall under current restrictions. Red Flag laws are already on the books in 13 states as legislatures look for tools to pre-empt mass killings. The statutes vary state to state but many commonalities exist. Broadly, they work like this: a law enforcement agency or family member can petition a judge to issue an extreme risk protective order if they believe the person presents a risk to public safety or their own person. The petitioner presents evidence to the judge, citing certain previous behaviors that indicate an emergency risk of violence against self or others. These can include domestic violence, violence against animals, reckless use of firearms, recent threats to self or others and substance abuse. The respondent has a right to counsel and can offer counter evidence and argument. If the judge believes that the respondent is an imminent risk to public safety, he or she can issue an extreme risk protective order. The respondent is then compelled to surrender firearms to authorities. In some cases, usually given additional exacerbating circumstances, law enforcement can seek a search warrant to confiscate the person's weapons. These orders are temporary, with durations ranging from a few weeks up to 12 months depending on the state. Once the order expires, the person's right to possess firearms is restored. Most states allow petitioners to request an extension of orders if a danger still exists, as well as permitting respondents to demonstrate that they no longer present a risk before the term of the order expires. Because these laws are relatively new, with the first such law passed in Connecticut in 1999, there are still issues to address. One major issue, according to Shannon Edmonds of the Texas District and County Attorneys Association, is the problem of surrender and confiscation. These laws raise questions such as: when should authorities seek warrants to seize weapons, to whom are weapons voluntarily surrendered, how are they stored and how are they returned. Another question is whether current laws are sufficient. In Texas, people convicted of a domestic violence misdemeanor or those who are under a family violence protective order are prohibited from possessing firearms. Federal laws prohibit firearm ownership for felons and people with demonstrated severe mental illness, for example those who have been involuntarily committed or those who have been acquitted of a crime due to mental insanity. The issue is if current laws can cover all situations where a person may pose a danger to public safety. Workplace violence, or threat of violence between neighbors may not be covered by current statute. Can a physician who learns of a plan to commit violence during a patient visit report that to law enforcement, and is that enough to remove that person's right to bear arms? Red Flag laws also seek to act before a crime has been committed, which raises concerns from constitutional rights advocates. Additionally, under current gun owner restrictions, the person is only informed it is illegal to possess a fire arm and law enforcement does not proactively seek to seize firearms. For the upcoming session, lawmakers will have to weigh the effectiveness of current laws and the potential danger from individuals who may pose a threat but not covered under statute. Tuesday hearing completes the committee's public hearing schedule for the interim. Committee Chair Senator Larry Taylor of Friendswood said the committee will prepare a report based on the interim hearings in the first week of August.